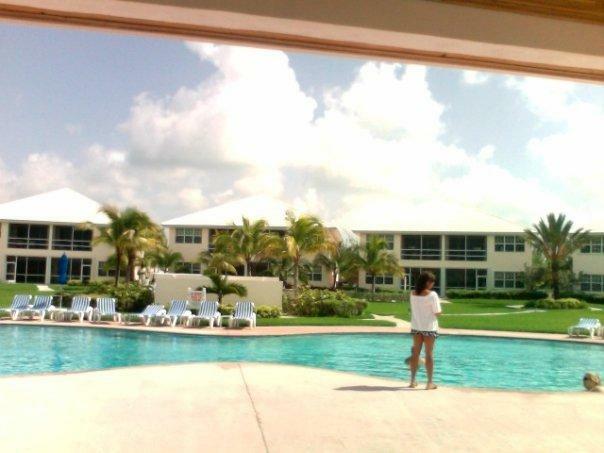 ﻿ Best Price on Bahama Beach Club Resort in Treasure Cay + Reviews! This beautiful resort is on a white-sand beach in Treasure Cay and features an on-site fitness center, a freshwater pool and an ocean-front hot tub. Bahama Beach Club also has free Wi-Fi. Each air-conditioned apartment at this property has a modern, full kitchen with an extra-large refrigerator, as well as a sitting and dining area. They also include a cable TV and a wardrobe. The on-site restaurant serves fresh seafood, and guests can enjoy pool-side dining and drinks. Other dining options are within 1 mile of the property. There is a golf course just over half a mile from Bahama Beach Club, and the property’s tour desk can arrange of activities like snorkeling, deep-sea fishing, tennis and sailing. Treasure Cay Airport is a 30-minute drive away.